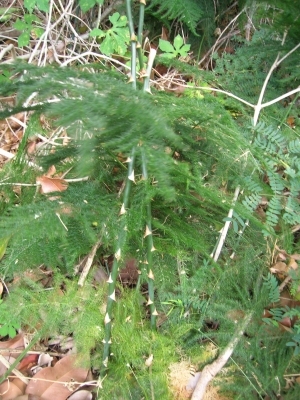 Asparagus fern is an evergreen climbing plant producing stems up to 5 metres long from a tuberous rootstock. Eastern and southern Africa - Ethiopia, Kenya, Tanzania, Zambia, Malawi, Mozambique, Botswana, Zimbabwe, Swaziland, S. Africa. Division of the tuberous rootstock.